Don Boroian, Francorp Inc. Founder and Chairman, will be a featured presenter at New York City’s chapter of the CEO Clubs of America on Wednesday, June 17 at The Harvard Club located in the heart of midtown Manhattan. As a return speaker at this esteemed organization, Mr. Boroian is honored to share his franchise industry and leadership experience with the assembly on the past, present, and future of business expansion and franchising at this showcase and networking event. The CEO Clubs of America was founded in 1977 by Dr. Joseph Mancuso to provide a nurturing environment for CEO’s and C-level executives dedicated to improving the quality and profitability of their enterprises through shared experience and personal growth. Over the course of its history, CEO Clubs has attracted prominent guests and speakers such as Ted Turner, Herb Kelleher, Peter Grace, T. Boone Pickens, Wally Amos, Zig Ziglar, Fred Smith, Richard DeVos, Royal Little, Edson De Castro, Steve Forbes, Victor Kiam, David Neeleman, Pat McGovern, Michael Bloomberg, Donald Trump, and Peter Peterson. For additional information or to register for this presentation and networking event contact Executive Director, Kathy Aber at kathy@ceoclubsofamerica.com or visit this link. Founded in 1976, Francorp Inc. is the world’s leading franchise development firm. 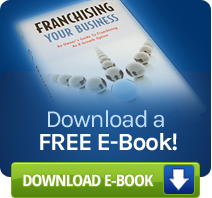 With 27 offices worldwide, Francorp has helped over 10,000 companies expand through franchising. Notable clients include McDonald’s, Buffalo Wild Wings, Jimmy John’s, KFC, AM/PM Mini Marts, Terminix, Mad Science Group and many others. Francorp serves as a one-stop shop to provide customized franchise program development for the needs of potential franchisors looking to exponentially expand their business. The depth of Francorp's experience with successful franchising and the quality of our service has made us the industry leader. © 2019 Francorp. All Rights Reserved.